Did you notice it all comes down to topics that concern the shape of interactions and the heart of those interactions are how things attach and fit they are all about tensegrity which is chiral. 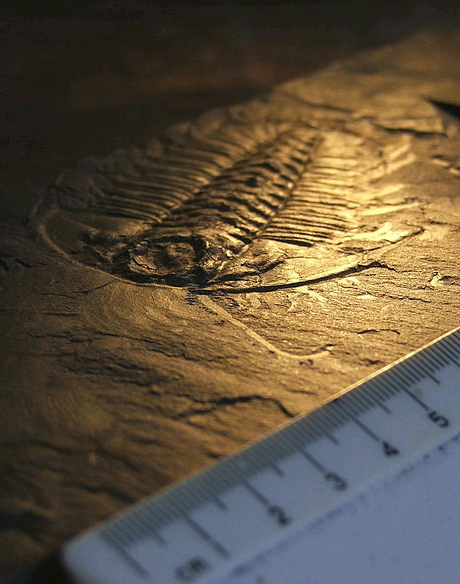 All evolution derives from the same singular body plan of symmetrical left and right side. Only tensegrity design can deliver that. 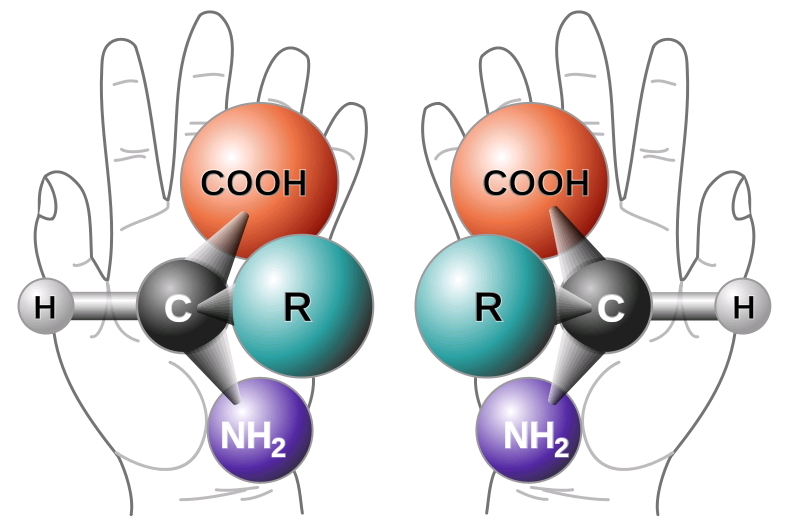 The great Louis Pasteur deduced in 1848 one hundred years before Snelson that there is this amazing property of left handed right handed interaction at the molecular level in terms of binding orientations, without any know ledge of the shape of either DNA or RNA, which is what Pasteur was getting an intuition about. It comes down to shape as a deriving principle of design that determines symmetrical mammalian body forms derived from the evolution of life forms that started in a water environment. 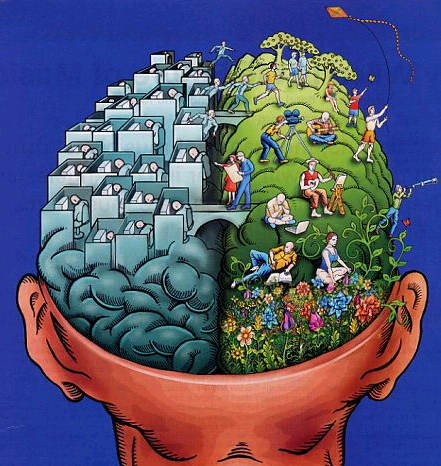 Things inside the midline between the left and the right get downright mesmerizing trying to coordinate the two brains. Here’s some great insight again from Kevin Mitchell’s lab, published May 7, 2010 Connecting Left and Right . I love his way of expressing brain things, at the transition transmission integrating left with right, it’s such a joy to read, here listen to his voice: ” Organisms with a bilaterally symmetric nervous system face a problem – how to integrate functions across the two sides so that behavioral outputs can be coordinated for the entire body. In the brain this is important to allow integration of the large number of cognitive “modules” which are differentially lateralised, such as language. (The importance of this communication is dramatically illustrated by so-called “split-brain” patients, who have had the majority of the connections between the two cerebral hemispheres severed in order to treat otherwise intractable epilepsy. These patients, first studied by Roger Sperry and colleagues, end up in essence with two brains inside the same skull, and it could be argued, two largely independent minds). The importance of bilateral integration is also evident and very well understood in the control of movement, where motor commands have to be tightly and dynamically coordinated across the two sides of the body. The integration of the two sides of the nervous system is mediated by nerve fibers that project from one side to the other. Some neurons project axons across the midline and others do not – the binary nature of this choice has made it a favorite model system of developmental neurobiologists to investigate how growing axons are guided along specific pathways to their appropriate targets. As a result, a great deal is known about the cellular and molecular processes that control whether an axon will cross the midline. The process is mediated by attractive and repulsive signals made by specialized cells which reside at the midline of the nervous system. (Interestingly, the study of such “chemotropic” molecules was also pioneered by Sperry in a set of seminal experiments in the frog visual system). These signals are detected by dedicated receptor proteins expressed on the surfaces of growing axons. The signals at the midline include two major families of secreted proteins: Netrins, which function to attract some neurons towards and across the midline, while repelling others, and Slits, which repel axons that normally do not cross the midline and which also prevent axons from re-crossing the midline multiple times. How each neuron responds to these cues depends on which receptors it expresses: DCC is a receptor protein for Netrins, while Robo proteins are receptors for Slits. Amazingly, all these proteins are very highly conserved, as are their functions in controlling axonal projections across the midline, which were discovered and elucidated in great detail in nematodes, fruit flies and mice. A number of studies have shown that their functions are also conserved and equally crucial in humans. Elizabeth Engle and her colleagues found that mutations in the ROBO3 gene can lead to a condition with the unwieldy name of horizontal gaze palsy with progressive scoliosis (HGPPS). This syndrome is characterized by an inability to coordinate the lateral movement of the eyes in the horizontal plane. Lateral eye movements are controlled by the abducens-oculomotor nerves, one on each side of the head. The coordination of these movements of the two eyes is mediated by a set of inter neurons which normally project across the midline of the hind brain, where the cell bodies that form these nerves are located, and coordinate the activity of the nerves on the two sides. As the ROBO3 gene is known to be required for axons to cross the midline, the implication was that the defect resulted from a failure to connect these cranial nerve nuclei on the two sides. A recent study by Alain Chedotal and colleagues modeling the effects of Robo3 mutations in mice strongly supports this explanation – deletion of the gene in just that part of the hind brain did indeed disrupt connectivity between the two sides and resulted in similar defects in horizontal eye movements in the mice. (If you’ve been paying attention you may be surprised that mutations in a Robo gene should cause a failure of axons to cross the midline – if the normal role of the Slit signals to which they respond is to keep axons on their own side, then mutation of a Robo gene should cause extra axons to cross the midline. This is true for the other two Robo genes – Robo3 performs a different role, down-regulating the responses of the other Robo proteins and so mutating it has the opposite effect). Another study just published by Guy Rouleau and colleagues shows that the function of DCC in establishing trans-midline connectivity is also essential in humans. They found mutations in this gene in patients with Congenital Mirror Movements. These are involuntary movements of one side of the body that occur in response to voluntary movement of the other side – i.e., a failure to independently control and coordinate the two sides. A similar effect has been seen in mice with mutations in this gene, which are called “Kanga” mice because of their unusual hopping gait, caused by moving both hind limbs at the same time. The mirror movements could be caused by a failure to project across the midline of inter neurons in the spinal cord that normally inhibit movement of one side when the other side is moving. Did you notice the specific term rotation, either clockwise and anticlockwise? That is also a specific characteristic within a tensegrity structure. Once the shape is established as symmetric if the structure is twisted it will return to its original configuration. So if Tomohiro Tachi could add to his wonderful computer program to design a musculo-skeletal system, a skeleton, all tissue organs including the brain intertwined with nerves blood vessels supplying all zones, an integrated immune system, the whole thing designed around tensegrity at the molecular scale what would it look like? 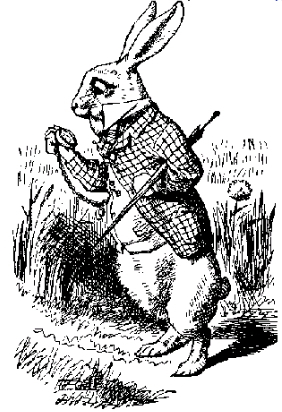 One of the most famous rabbits in the Western world is the rabbit of Alice in Wonderland. So what would the rabbit look like? It would look like the real thing. We’re used to seeing what we consider is a rabbit without the inner design. It’s kind of like the computer games my son used to make, there is this whole layered world of mesh shapes that backgrounds the entire complexity of a rich normal 3-Dimension scene including any type of animal fish or human. It’s like you can cloak away all the visual texture of the hair, the scales, the very unique sheen of the flesh to visualize inside like glimpsing a magical x-ray of the workings behind the animation. But tensegrity has this capacity to build just such a left-right universe. Your tensegrity brain is reading about it right now through tensegrity eyes, the first brain in Nature. Your brain can twist just like a tensegrity structure back into shape if perturbed with enough force. Your brain self rotates during a concussion, it’s due to the tensegrity of the design. 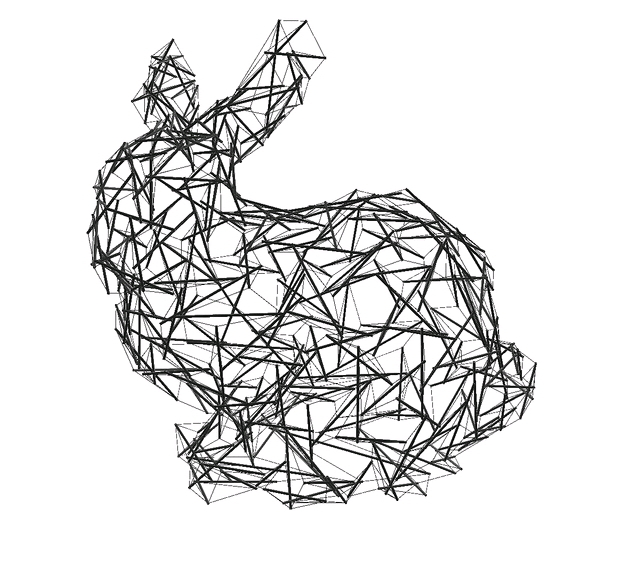 That’s why a tensegrity rabbit is important, it reveals more than the shape of the rabbit. It reveals at all tensegrity scales of design of the rabbit how the whole thing fits together to work so harmoniously. The rabbit is a tension integrity creature based on shape, tension is felt through all the cellular networks. It’s all coordinated it’s all on. Now, isn’t that fascinating ? Is our own massive galaxy, The Milky Way divided along chirality ? 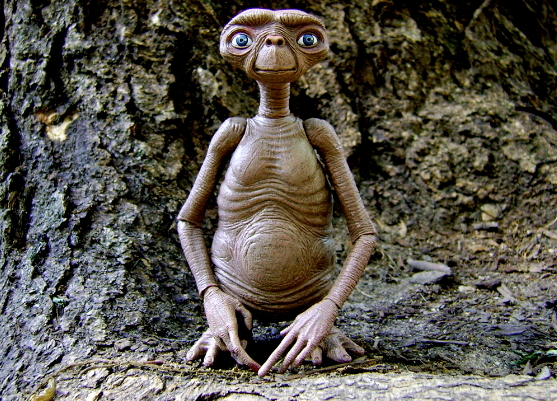 Maybe one day we’ll have a extraterrestrial visitor to contemplate chiral shape symmetry?